A fun, but cool (weather-wise) brew day with my good friend Schappe. He brought over a few pounds of home-grown rhubarb that we decided to add in secondary. I split the finished beer into two 3-gallon batches, one as a control and one with the rhubarb. *Forgot to add to the mash. Decided to make a mini-mash with 4 cups filtered water, mashed at 151F for 15 min, strained, then boiled for 20 min. Added to roughly 1.5 gal leftover wort. Pitched with Gigayeast 007 Belgian mix slurry. **Spilled crystal hops at 5 minute addition. Only 0.18 oz remaining. Decided to make up the difference with styrian goldings. Also, forgot to start the pump to whirlpool until end of boil. Decided to add approx. 7-10 min to boil to whirlpool. Account for additional IBUs. Likely around 31 total IBUs. 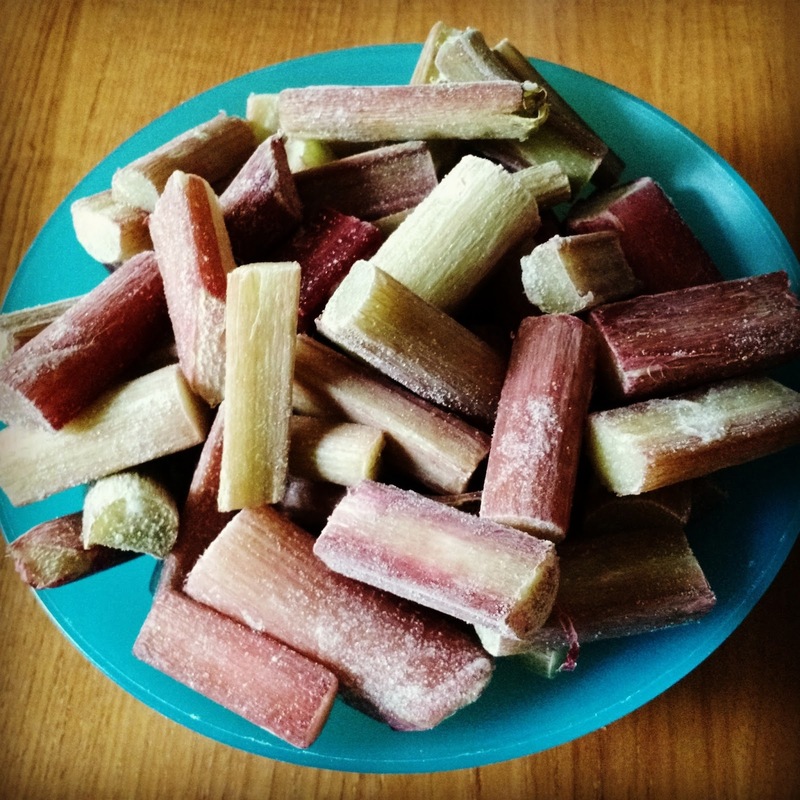 5/28 - Add 1 lb frozen rhubarb to 1 cup filtered water. Heat to simmer, ~180F. Poor off most water. Cool and add to carboy. Only able to add 2/3 of rhubarb to carboy (ran out of room).